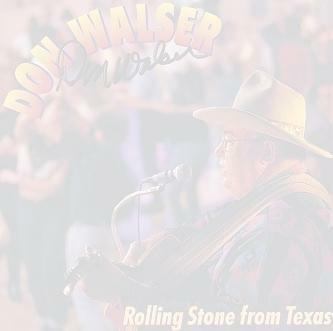 Don Walser is quite simply one of the great voices and nice guys of our day. 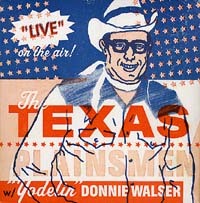 His mission in life is to preserve what he terms "old-time Texas music"--which he admirably accomplishes. Based in Austin, Texas, Don, along with his outstanding Pure Texas Band, performs around the area at places like The Broken Spoke Saloon, and Jovita's Mexican food restaurant. He also tours nationally and has even made cameo appearances in feature movies. Go here for a December 1995 Dallas Morning News article on Don's earlier days (archived online by the News-Times, Danbury, Connecticut--go figure). In September 2000, Don was awarded the prestigious National Heritage Award in Washington, D.C. An outstanding performance was a highlight. Pictured above (click to enlarge) is Don Walser and the 2000 National Heritage Awardees after their well received performances and presentation of crafts. You can read all about the awards here. Don has posted some great pictures on his website of him and his band in Washington receiving the National Heritage Award. The evening after the National Heritage Awards, Don and his Pure Texas Band put on a stunning solo performance at The Kennedy Center in Washington. The event was well attended, and in speaking to Don and the band members after the performance, they were truly energized--as was of course the audience! Click here for more pictures of this once in a lifetime performance and link to event rebroadcast! Don and long-time Pure Texas Band members perform at the Kennedy Center Millennium Stage (click to enlarge picture, and click this link for many more pictures). 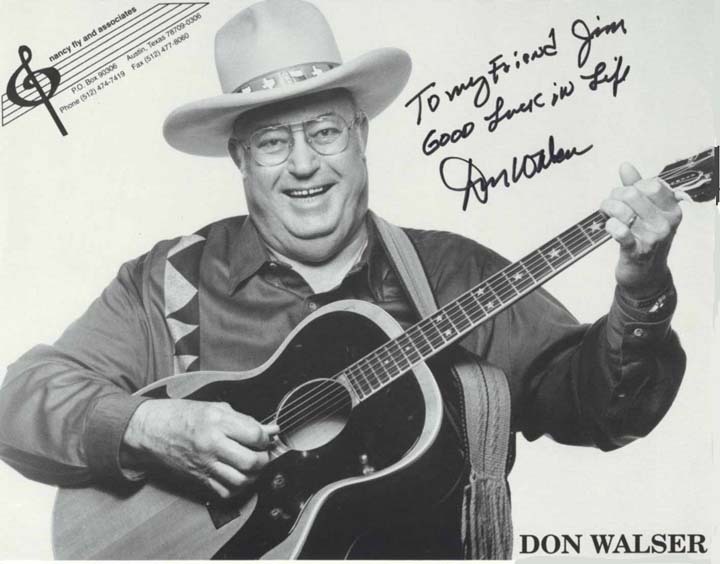 From a February 18, 2000 Austin Chronicle article: " If you hung out at a VFW or Legion Hall in such West Texas hotspots as Monahans, Lamesa, Big Spring, or Midland in 1964, you may have run into the Texas Plainsmen, with thirtyish Donnie Walser strumming that jumbo Gibson acoustic and yodeling his heart out. "(click here for the full review). Be sure and visit Don's website. Also be sure and pick up a copy of Rolling Stone From Texas, or most recent release, Down at The Sky-Vue Drive-In at the regular online CD outlets or select brick and mortar stores. Don and Me at Jovita's. August 7, 1997 Border's Books gig & the announcement. Don, the band, and his nephew, Chip Roberts, took time-out to sign-sign-sign. Click the thumbnails for enlarged pictures. The main man holds sway at a weekly Jovita's show. 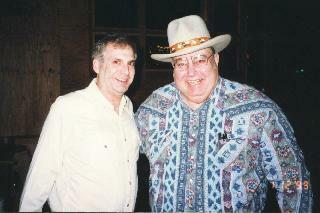 Don's primo Pure Texas Band fiddler Howard Kalish!! Me again with one of the nicest and most talented people you will ever meet. "Skinny" Don Keeling, bass player Pure Texas Band (r), has been with Don around 16 years. Is Don 'pure Texas' or what?